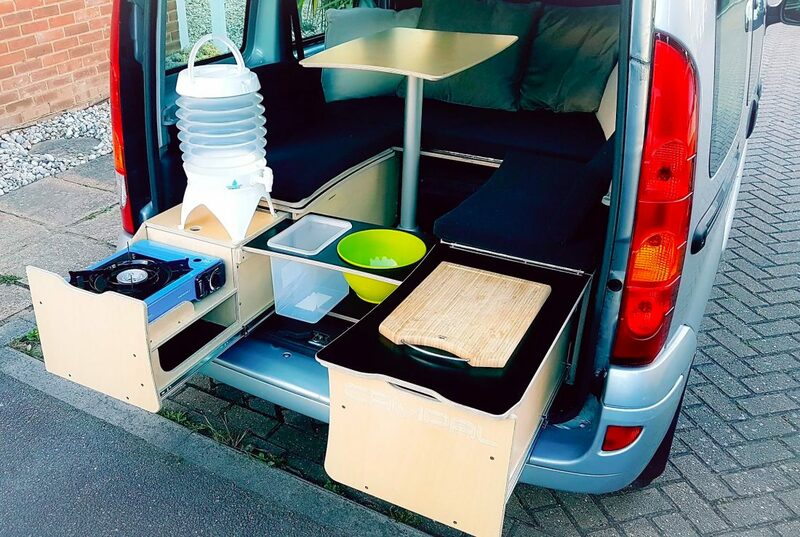 campal.co.uk is a great looking unit that fits into the back of van like cars instantly giving a cooking area, seating unit and a bed. This is one of the best ways of instantly converting a big car into a campervan for weekend or occasional use. These great units are created by Martin who also builds custom units, so get in touch if you want something similar for you car.